My son is 12 and his bedroom reflects his age in every way imaginable. In fact, if a tornado went through Dicks Sporting Goods and Toys “R” Us it would pretty much resemble what his room looks like on most days. I used to stress out about it, but I stopped. 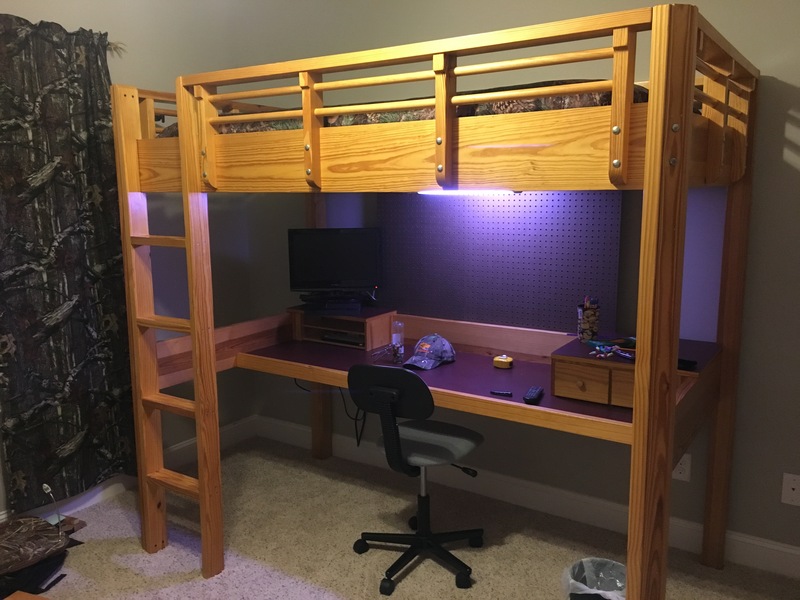 I had that realization that he’s a great kid with a huge heart for God and others, so why worry about the fact that he keeps his room like a middle school boy…because after all, he is one. At some point along the way, we decided that it would just be easier to start shutting the door, especially when company would come over. Recently, our 12 year-old son stopped spending time in his room…his stuff began to migrate out into the rest of the house. In fact, he even began sleeping on the couch…no explanation, we’d just wake up in the mornings and find him crashed out there with his blanket and pillow. Even the dog stopped going into his room and started sleeping on the couch with him. My wife and I realized that if the dog refused to go into our son’s bedroom perhaps it was time to intervene and provide some big-gun support. When we talked to him about the state of things in his room, he said, “I think a fresh start would help me. Could we re-do my room?” We were all for the idea. If a fresh start were going to give him the mental and emotional boost he needed to turn over a new leaf we were completely on board with the idea. When left unattended clutter gradually builds over time. If ignored, clutter becomes almost insurmountable. Your clutter will follow you…there’s no escaping it. Your clutter affects those around you. At times you need the need the help of others to get rid of the clutter. What’s cluttering up your life right now? What do you need help dealing with? Where do you need a fresh start? I’m happy to report that we have our couch (and the rest of our house) back. My son is now sleeping in his room again, however, the dog can’t get into the loft bed so he’s now taken up residence in our bedroom…I think Karri and I need to get a loft- bed, too. PERFECT TIMING!!!! As always, YOU ROCK!!! Thanks Michanne! Hope you guys are doing well!